Insanity Day 23: is this sh¡t getting harder? Ok, so maybe it’s my imagination or maybe I’m working harder but good grief this feels like it’s getting tougher with every workout. I can pretty much keep up the entire routine but I’m still modifying a couple of the high jump moves to save my knees. Arm feels solid, no more twinges. Tonight, I was pouring sweat. Sweat running of my nose, into my eyes etc. Maybe it’s the humidity?? Crazy. I am dreaming about recovery week at this point. My body feels tired if that makes sense. My wrists are sore, even my toes seem to beg for some rest. 4 workouts to go and it’s buh bye month one! 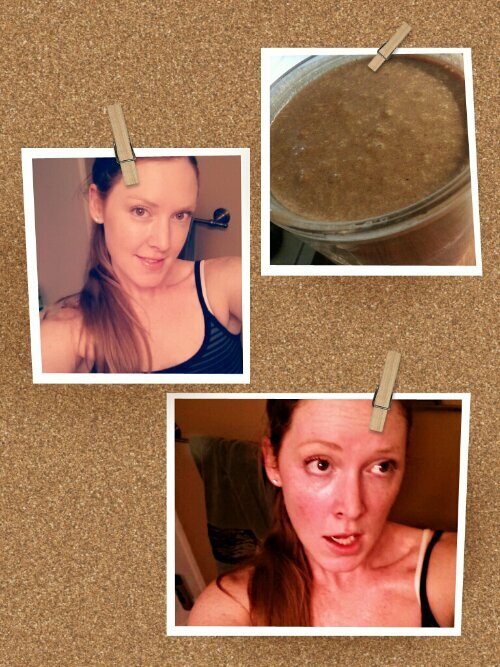 p. s. I think I’m addicted to shakeology now.